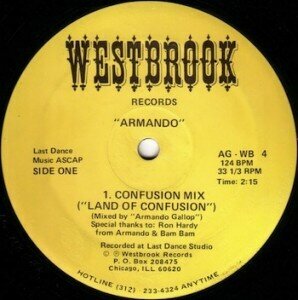 If you weren’t /aren’t lucky enough to own Armando’s Land of Confusion, it is now available in it’s original format on Westbrook Records. According to the people behind the release, it is taken from DAT. So should be a quality 12.